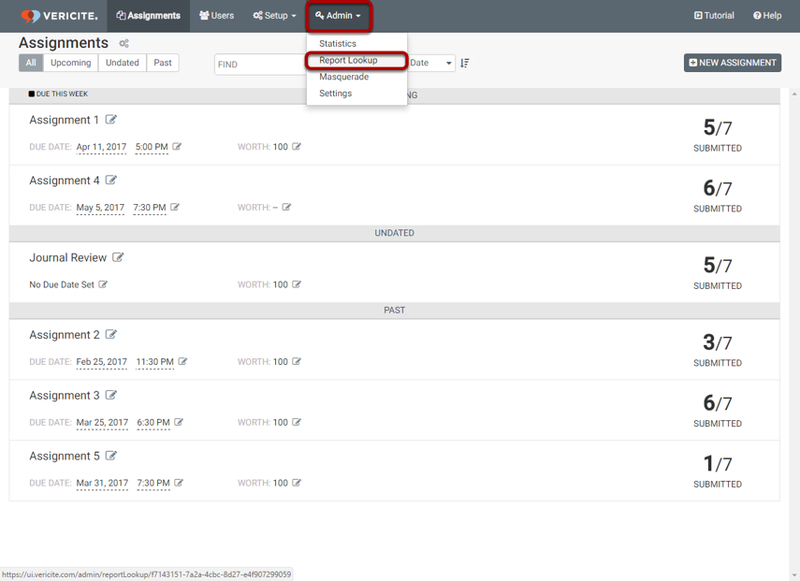 VeriCite DocumentationUser GuidesCanvas User Guide LTI Integration - Admin ArticlesHow do I look up a report as an admin? Enter the information for the report you want to view. Zoom: Enter the information for the report you want to view. Paper ID: The paper id. Site: The site id of the site where the paper was submitted. User: The user ID of the user that submitted the paper. 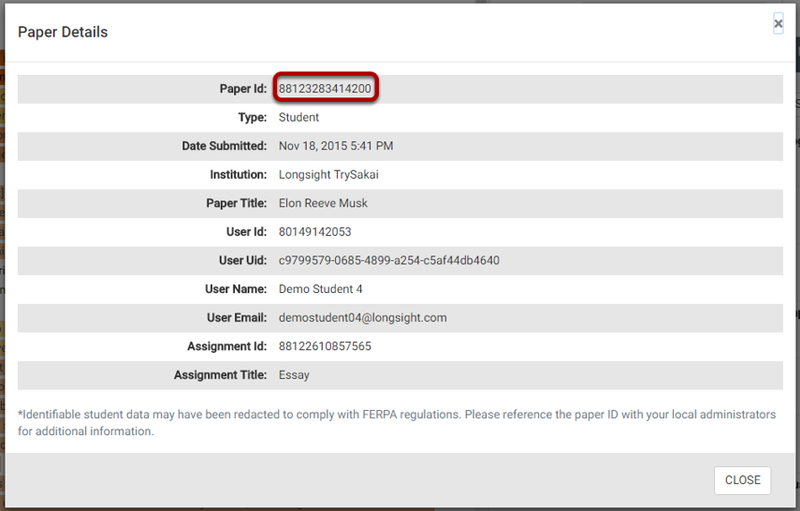 The Paper ID can be located from the Details of a matching student paper source. 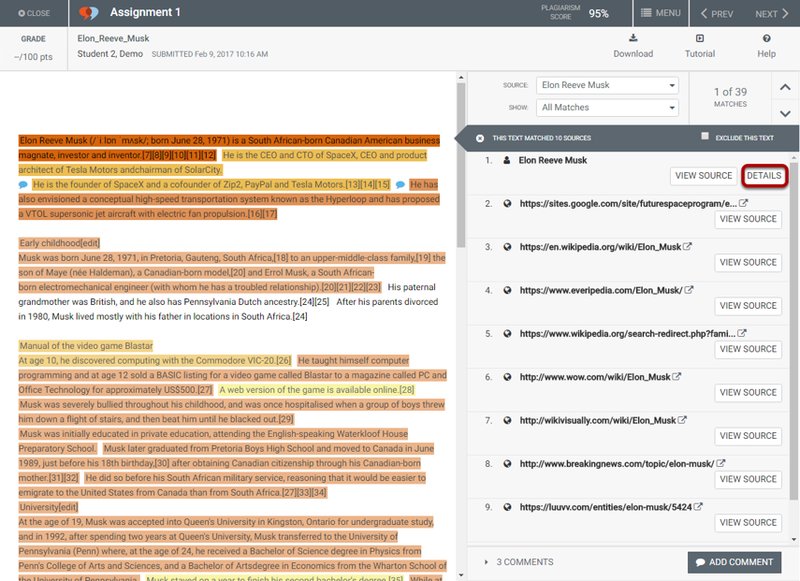 Zoom: The Paper ID can be located from the Details of a matching student paper source. Paper details include the paper id, as well as other information about the submission. Zoom: Paper details include the paper id, as well as other information about the submission. The information displayed in Paper Details will vary according to the permission level of the user, and the privacy settings specified by the institution. The Site is the id of the course in your LMS. Zoom: The Site is the id of the course in your LMS. The User is the user's unique identifier in the system. Zoom: The User is the user's unique identifier in the system. 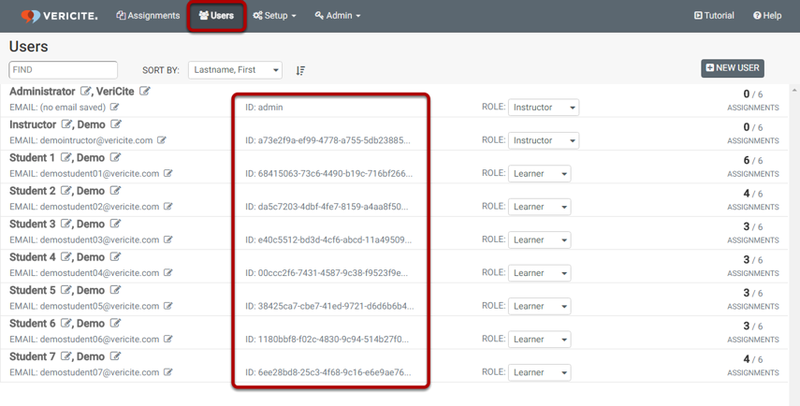 If you don't already know the username, you can locate it in the site where the user is enrolled by going to Users and looking for it in the ID column. Click View to display the detailed report for the desired item. Zoom: Click View to display the detailed report for the desired item. Prev: How do I view VeriCite statistics as an admin? Next: How do I permanently delete a paper from the VeriCite index?